La lingua tibetana classica (Hoepli, Milano 2016) is the first organic work in Italian dedicated to Classical Tibetan (chos skad) grammar. 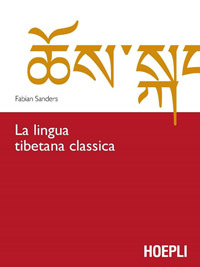 The author, Prof. Fabian Sanders, teaches Classical Tibetan at Ca’ Foscari University in Venice. The volume is a text of undoubted value, rightly and logically designed for students, translators and scholars. Italians, especially Catholic missionaries, contributed significantly to the birth of Western Tibetology with works written essentially in Latin in the eighteenth century. Among these, the monumental work of Agostino Antonio Giorgi (1711-1797), Alphabetum Tibetanum and later Cassiano da Macerata (1708-1791), Alphabetum Tangutanum Sive Tibetanum. Ippolito Desideri (1684-1733) had even written five texts directly into the Tibetan language. During the eighteenth century, Francesco Orazio Della Penna (1680-1745) prepared a Tibetan-Italian dictionary (1735) which was then largely translated into English by Friedrich Christian Gotthelf Schroeter and later published in Serampore in 1826 (edited by Clark Marshman). In contemporary times, alongside the many valuable studies of Tibetology, particularly those of Giuseppe Tucci (1894-1984), however, such a precise tool of analysis of grammar was lacking and Italian-speaking students, scholars and translators had to refer to the many valid manuals in other languages, posing an obstacle for many who wanted to get closer to Classical Tibetan without knowing the major Western languages. Furthermore, most of these manuals were absolutely useful works, but translating from a language so distant from one’s own could cause doubts and uncertainties. The necessity of being forced to refer only to foreign manuals made it impossible to grasp the full extent of the most hidden and tangled shades of Classical Tibetan. This grammar, finally, fills that gap. Prof. Sanders tries to overcome the dichotomy between traditional grammar and Western manuals built on the Greek-Latin grammatical tradition. Much technical attention is given in the text to Tibetan phonetics. The sole use of the Tibetan alphabet from a certain point of the work is certainly meritorious. This avoids not only scientific transliteration but also (and on this I express an absolutely enthusiastic opinion) the phonetic transcription that in some works, insofar as it is in the absolute good faith of the authors, is too often at a risk of confusing the reader by memorizing the complex Tibetan spelling, as well as damping and slowing down the efforts that, in the first phase of learning, are undoubtedly necessary for mastery (and also the expert reader is often naturally enticed to a look at those inviting, but dangerous, phonetic transcriptions). Regarding morphology, each rule is presented to the reader through examples which are all directly taken from different Tibetan texts (the sources are punctually indicated). The section dedicated to Tibetan verbs is particularly in-depth, and probably this is the added value. In closing, the volume contains the tables of the Tibetan particles (designed by Dr. Margherita Pansa), a very useful instrument to have a quick overview while training oneself. In essence, the volume can be rightly put alongside the historical works on the Tibetan language in English, German and French. The challenge that can be made to the author is, at this point, to imagine a Tibetan-Italian dictionary as well. 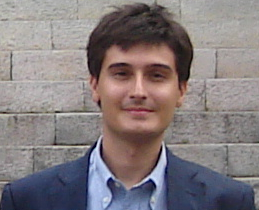 * Matteo Miele (Frosinone, 1984) holds a PhD in Political and Social Sciences, Program in Geopolitics, from the University of Pisa, where he is a Cultore della materia at the Department of Political Sciences. Between August 2011 and July 2012 he was a lecturer at the Sherubtse College, Royal University of Bhutan. In 2013, a book dedicated to modern Tibetan language was published by the same publishing house: Donatella Rossi, Nyima Dhondup, Corso di lingua tibetana moderna, Hoepli, Milano 2013. See Luciano Petech (ed. ), I missionari italiani nel Tibet e nel Nepal, Libreria dello Stato, Roma 1952-1956 (7 vols.). Agostino Antonio Giorgi (1711-1797), Alphabetum Tibetanum Missionum Apostolicarum Commodo Editum, Sacra Congregatio de Propaganda Fide, Roma 1762. Cassiano da Macerata (1708-1791), Alphabetum Tangutanum Sive Tibetanum, Sacra Congregatio de Propaganda Fide, Roma 1773. Giuseppe Toscano (ed. ), Opere tibetane di Ippolito Desideri S.J., Istituto italiano per il Medio e Estremo Oriente, Roma 1981-1989 (4 vols.). The publication collects four of the five Tibetan works written by Ippolito Desideri. Friedrich Christian G. Schroeter, A dictionary of the Bhotanta or Boutan language, edited by Clark Marshman, Serampore 1826. See John Bray, Missionaries, officials and the making of the 1826 Dictionary of the Bhotanta, or Boutan Language, in “Zentralasiatische Studien” 37, 2008, pp. 33-75.